DTM team interviewed 5,328 migrants and refugees who travelled to Europe through Eastern, Central and Western Mediterranean route between July and October 2018. 70 per cent of respondents interviewed in Italy answered « yes » to at least one of the five indicators of human trafficking, exploitation and abuse, the highest among all three routes. 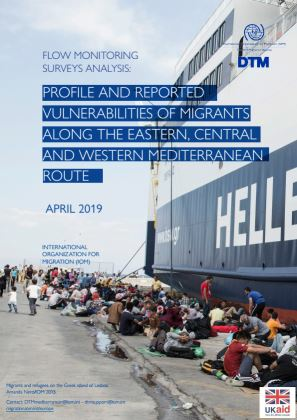 Almost half of all respondents in Spain (48%) and 10 per cent of those interviewed arriving through the Eastern Mediterranean route provided positive response to questioned indicators. 53 per cent of respondents who travelled along the Central Mediterranean reported being robbed during the journey. The same was reported by 46 of those who travelled via Western Mediterranean and 9 per cent of those who travelled through Eastern Mediterranean route.